The first selection in todays Stats Accumulator with Sky Bet comes from Exeter over the jumps in the Class 3 handicap hurdle over 2 miles 2 1/2 furlongs and we have gone with Trans Express to place. This Sue Gardner trained eight year old is a bit of specialist in this race winning this renewal the last two years in a row andis looking to make it three out of three today. Trans Express has a 38 percent record at this track winning three times over course of distance out of eight attempts at the track and can go close again today. The second selection in todays Stats Accumulator with Sky Bet comes from Southwell on the fibresand in the Class 6 handicap over 5 furlongs and we have gone with Divine Call to place. This Charlie Wallis trained 11 year old is a veteran sprinter but loves it at this track and has a 100 percent track record with all three wins coming over course and distance. The trainer has had a lot of success with this horse today and he is in flying form at the moment running at a 22 percent strike rate for last 14 days. With this, Charlie Wallis has a 40 percent strike rate with his horses at this track. The third selection in todays Stats Accumulator with Sky Bet comes from Southwell again in the Class 6 handicap 6 furlongs and we have gone with First Excel to place. This six year old loves racing at Southwell and has a 50 percent record when running at this track winning three times over course and distance in his six runs. 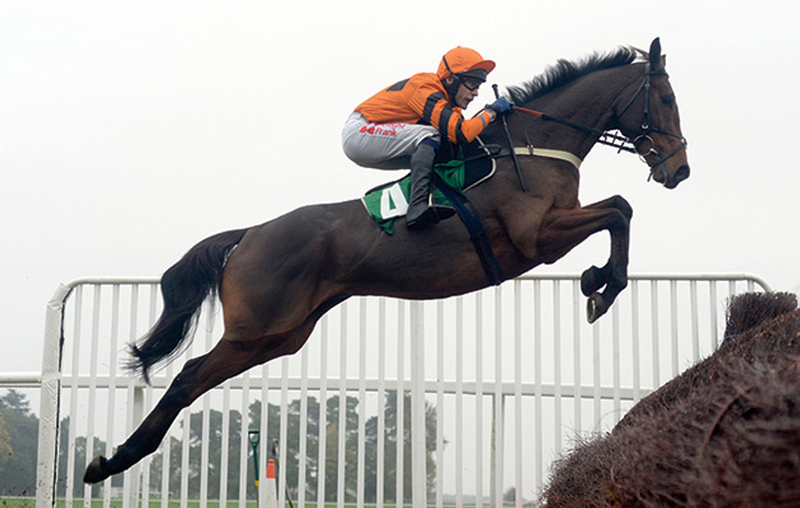 This gelding has form figures of 1112 here in his last four runs just missing out three weeks ago. Robert Winston gets the leg up for this ride and he is flying form running at a record of 25 percent for the last 14 days. Also he has a record of 29 percent when teaming up with this trainer. 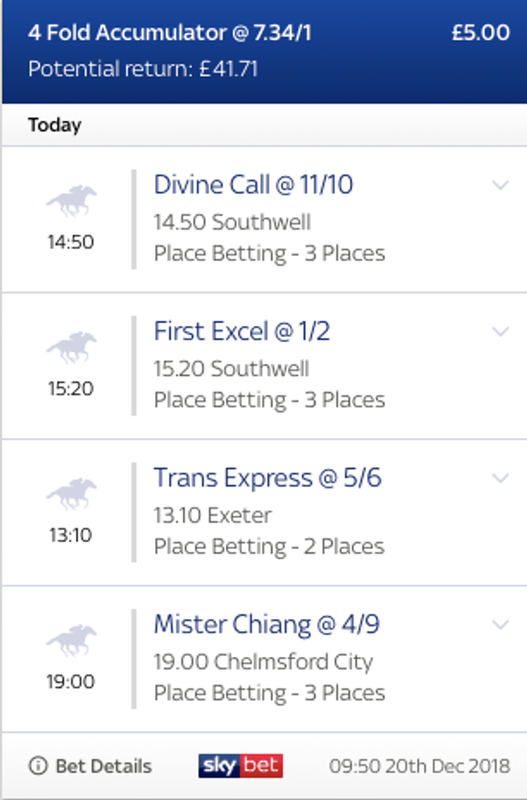 The final selection in todays Stats Accumulator with Sky Bet comes from Chelmsford under the lights in the Class 3 maiden over 1 mile and we have gone with Mister Chiang to place. This Mark Johnston trained two year old is one of the more experienced runners in the field having four outings and performing to a fair standard with two good seconds. Mark Johnston doesn't normally have many runners at this time of the year and is travelling 231 miles to race this horse today and when coming this far has a 14 percent strike rate. With this, jockey in the saddle Franny Norton has a 20 percent strike rate for the last 14 days.